GALION — The Crawford Park District opened up registration for Summer Nature Camp Sessions on Thursday at the Lowe-Volk Park Nature Center. 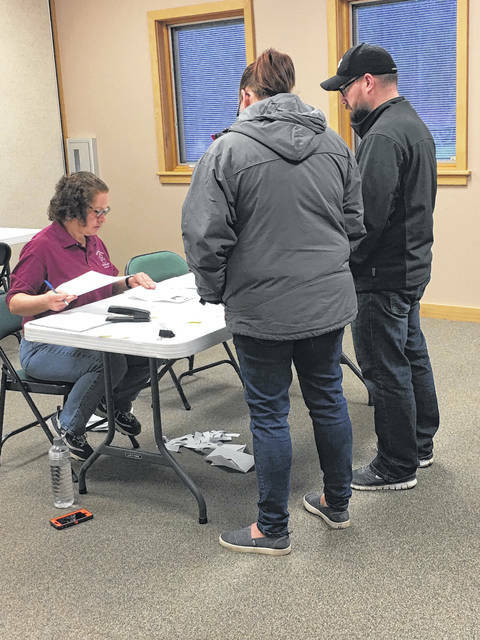 The sign ups begin annually on March 1, and always draw a large crowd of parents anxious to get their children signed up before the open spaces fill. Nature Camp at Lowe-Volk Park started when the Lowe-Volk Park Nature Center opened its doors n 2003. Attendance in the first couple of years was minimal, but has grown by leaps and bounds over the past 15 summers. In the years to come, Dyer increased camp sizes from 16 to 20 kids in order to accommodate the need they were seeing from the community. Currently, each session of Nature Camp has grown to a size of 32 kids with a smaller waiting list than previous years. Kids attending Nature Camp are exposed to a wide variety of experiences. Hiking and fishing, outdoor safety. Throw in a chance to learn more about animals found in the outdoors means there will be something fun for everything among the topics covered in every week-long session. “We see a lot of kids who return each year, not just from Galion and the surrounding area,” said Dyer. Dyer said they have seen kids from Lexington, Shelby and Columbus. Lowe-Volk secretary Patti Gervais brings her grandsons from Strongsville to Nature Camp every summer, and another family has visited from Chicago every summer since their kids were five. Campers can be registered for Nature Camp during business hours at the Lowe-Volk Park Nature Center, 2401 Ohio 598, just north of Galion. 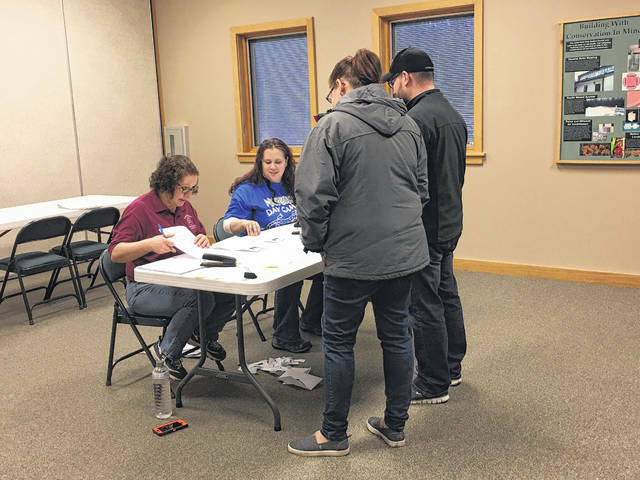 A crowd of parents and other family members braved the rain Thursday morning at Lowe Volk Nature Center to ensure a spot for their child this summer at Nature Camp. https://www.galioninquirer.com/wp-content/uploads/sites/38/2018/03/web1_28641210_10213247387637575_11369263_o.jpgA crowd of parents and other family members braved the rain Thursday morning at Lowe Volk Nature Center to ensure a spot for their child this summer at Nature Camp.